About: Here’s a little about us! Things I love to chew on! What’s the big deal? It’s my bully stick – why can’t I bury it in the couch? Mama’s annoyed because she found my bully stick in the couch. I don’t know why she should be annoyed. After all, it’s my bully stick and she found my super secret hiding place. Daddy bought me a Bully Stick for Mothers Day? Evidently, this was to make up for the fact that the only thing left over from the MD Lunch was spaghetti and meat sauce and for some unknown reason I’m not allowed to have a taste of that. It smells heavenly, by the way! Any-who, I got a brand new bully stick. I chewed on it a while, but then I decided to hide it. First, I walked all around the house looking for a good place to stash it. My brothers went running ahead of me and closed a bunch of doors. I have no idea why. Their room is full of nooks and crannies and a perfect place to hide stuff. I wonder if Michael is still made about that Lego model of his I chewed up. Hmmmm. I tried to hide it in the laundry basket with the clean clothes. Gregory pulled it right out and gave it back to me. Then the basket ended up on a top of the washing machine. I tried to hide it in Mama’s new shoes. Obviously, that didn’t work. I tried to hide in a corner of the living room, but I couldn’t seem to dig up the hard wood floor. Finally, the perfect spot — Right between Mama and Daddy on the couch! I “dug” into the couch bottom and nosed my prize into the back of the couch. Then I pushed the pillow back over the top of it. I suppose I should have expected that. Now I have to find a new place to hide it. I don’t know why Mama is pointing to my crate. My crate? I’m part of a set! Okay, I get that you want to chew on me, but I’m going to take a time out up here for a while. Snorkie Questions: Do I Have Too Many Toys? Or Please sir, may I have some more? As you can tell, I am a much beloved member of the family! Over time, I’ve managed to collect a few prized possessions. I’ll admit that some are more prized than others. Ahhhh! Elk Antler, my old friend! how can you deny me a few paltry toys as a poor substitute for your affection? I love you. Please buy me something. I’m always thinking of you. Can’t you think about me too? Remember I’m all about unconditional love, but a toy would be very nice! Do I have too many toys? Do I have too much love for you? I think we both know the answer to that question. P.S. This is A Blog Hop! Click on the link below to see the other blogs. 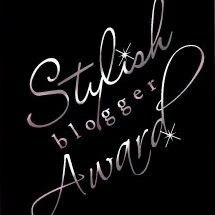 Please take a moment to comment on the blogs you are visiting that you are participating in the blog hop! 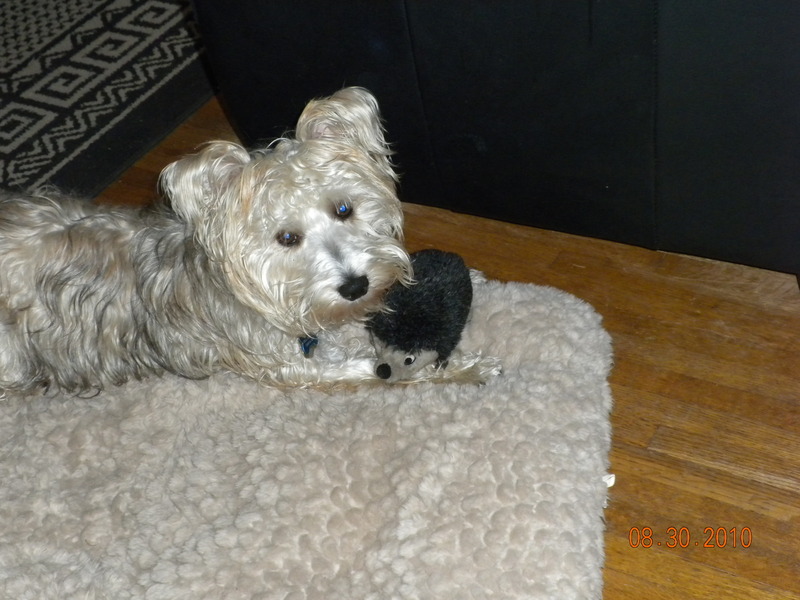 Wordless Wednesday – Opie Shows his Wild Side! Wild Dog vs. 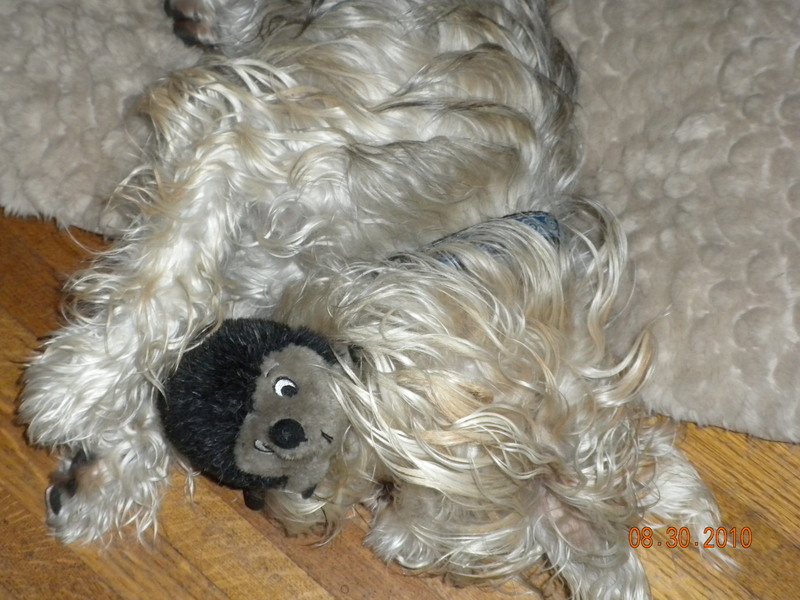 Sleepy Puppy and Fuzzy Blue Slipper! – An ill fated Christmas doggy toy. Mr. Weenie is presented for play. Mama, Mr. Weenie is all bended up! What I got for my Birthday and How I scared the Stuffing Out of Mama! Sunday was my actual birthday! When I woke up mama wished me a happy birthday and then rushed off to take Gregory to some kid’s house. When she came back, I got a lovely piece of turkey sausage in my breakfast and lots of tummy rubs. Turkey Sausage is so, so yummy. I had a smile on my belly all day after that! Mama promised me that my next presents would come on Monday. And they did! But before I tell you about them, I have to tell you about how I scared the stuffing out of Mama. In the afternoon, Mama took me with her to pick up Gregory from that kids house. We drove a long time, longer than it takes me to go to the far dog park or to pick the kids up from school. It was a great ride. Mama let me ride in the front seat and let the window down a little. I had my head out the whole time! It was great! That was a present in and of itself. We finally got to the kid’s house. Mama turned off the car and my leash to the arm of the car seat and let the window almost all the way up. There was only a little bit of room left. She told me she’d be right back. She was getting Gregory from the kid’s house. I could hear lots of kids and even some dogs barking. I didn’t want her to leave me. I wanted to come too. She took the key out of the ignition and got out of the car. She locked the car with her car keys and made the car beep. Mama waved at me and walked up the driveway. She said she was sorry, but she’d be right back. Well, I knew she would be but I couldn’t help whining and crying. And I really wanted to go with her into the house. There were more kids and dogs in there. So I jumped around a lot in the car. Guess what? The leash came loose. It just came off the arm of the car seat! Wow! Then I put my paws on the door of the car. I put my paws on the special button, and the window started to go down. Yippee! Usually only Mama can make the windows go up and down! So, being a dog of action I jumped out of the car and went looking for my Mama, my leash dragging behind me. I found her. She was just walking back to the car with Gregory. She was really surprised to see me — really, really, really, really surprised. Gregory was surprised too. Mama grabbed my leash and asked what I was doing out of the car and how I got out. She told me what a good boy I was for coming straight to her and for not barking at any of the people in the driveway. She rubbed my head, scratched my hears and told me what a good Opie I was for being so smart to come straight to Mama. She wasn’t the least bit mad! When we got back in the car, though, she was really upset about the window. She couldn’t figure out how I got it down if the car wasn’t on. I think she’s still scratching her head about it. She kept playing with the window and turning the car on and off when we went on my B-day trip to the Dog Park. On the car ride back she told me that I was a good boy, but I scared her really badly. She said I could have gotten really lost and that would be such a tragedy on my birthday to be lost. I could tell she was really scared. I wondered if she’d ever let me ride in the car again. She muttered something about it being a cold day some place (I didn’t catch where. She was muttering) before I got left in the car again. That’s fine by me. I don’t like being left in the car. Maybe from now on Mama will take me everywhere. Wouldn’t that be great? I got three happy birthday tennis balls. I got Mr. Greenie to replace Mr. Weenie (I tore up Mr. Weenie a few days ago. He’s in the toy hospital.) Here is Mr. Weenie. I had him a week but then I tore his head off. He has the best little hat to chew on. I guess I got carried away. Here’s my new Mr. Greenie. He’s got a cool head to chew on as well. Mama hopes he’ll last longer than Mr. Weenie. I hope so. Mr. Greenie squeaks. So do my tennis balls. I also got a tennis ball bone. It’s great! It squeaks too. I also got my own personal portable water container for any dog park we got to. Here I am playing with Mr. Greenie and my tennis ball bone. I can’t decide within one I like better. I love them both. I fetch and play tug of war with both of them. They are so fun! Mama got me a new seatbelt harness too. I’m not too fond of that. Daddy and Mama put me in it today and adjusted it so I can’t get out of it and I can’t bite it very well. Mom muttered something about seeing if I could escape from this. I don’t’ quite know what she meant by that, but she kept telling dad to make sure it was good and snug. I kept thinking, “Okay, already! It’s snug enough!” I’m not keen on this particular present, but I am still grateful for ALL of my presents. Best of all, Mama got me a beautiful doggy blanket. It’s just for me. I can sleep on it in my bed or on the couch or have it in the car. It’s soft and it has bones all over it. This will make for good dreams, right? Oh and I went to Oberrieder Dog park today too. I hadn’t been in a long time. Luckily, there were some dogs there this time. I played with a little grey dog for a while. I tried to race with another dog, but she just wanted to smell everywhere. I did that for a while too but I was itching to play. I had a great time. I’m going back again soon I think. I want to thank all of you for my birthday wishes. It feels great to be 1. Michael says that I’m really 7. I wonder if that means he’ll let me play Legos with him. 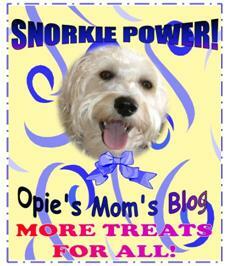 Mama’s letting me write this post! I found my hedgie. I love my Hedgie. I’m sorry I lost you Hedgie. I love you. I love you. I spent too much time hiding bully stick and I lost you. Now I found you. I’m never letting you go. No never, never, never, never! I love you Hedgehog, dearest Hedgie. I won't let you out of my sight again. Ah, ambrosia! 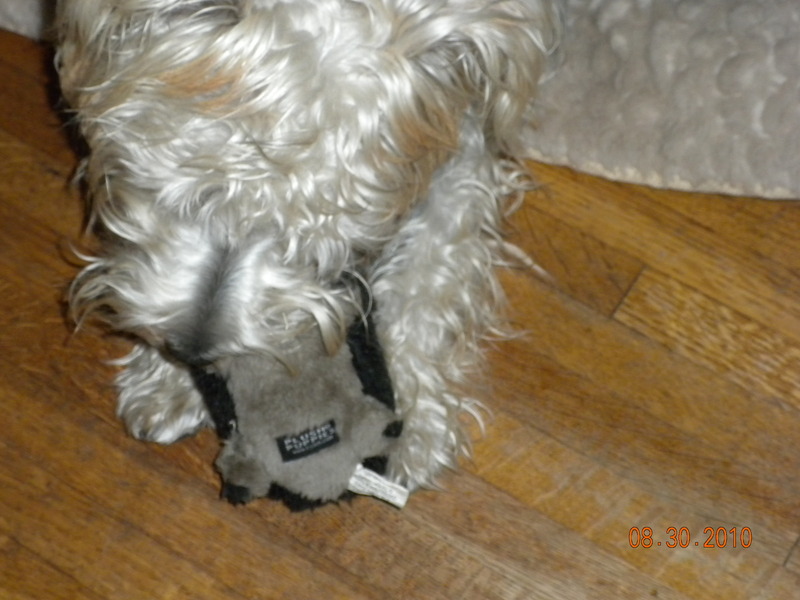 The best squeak toy EVER! My name is Hedgie! Someone please help me! Squeak, squeak! Thank You for the Award Oscar the Pooch! Check out my pages — My videos page is the latest new page! Los Angeles Area People Take Special Note!!! Search my Blog for what you need! Follow Me! Follow Me! Follow Me! Opie Panting at the Boneyard! I’m a Proud Pet Blogger! Email Subscription -- sign up so you can respond via email. 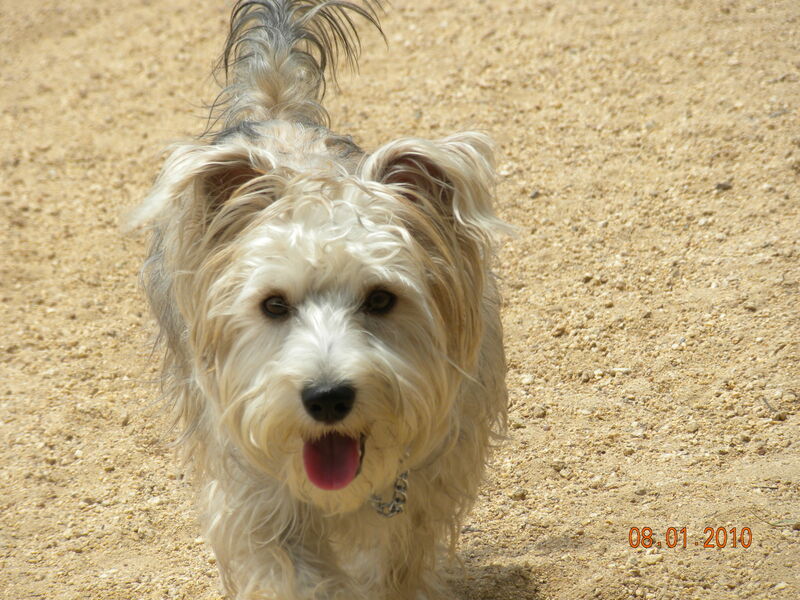 Bocci's Beefs Cool blog written by this neat terrier named Bocci! 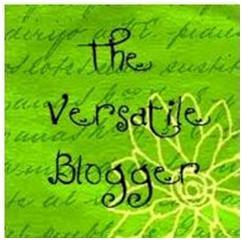 Blogs I like to read that you might like too! 24 Paws of Love Really wonderful blog about a owners of two packs of large dogs. According to Gus Great blog about happening doggy named Gus! Another Tequila Sunrise Great blog about a golden doodle! Love reading and commenting on this one! Brown Dog CBR This is Hawkeye’s blog. He’s this cool Chesapeake Bay Retriever who has adventures! House of Carnivores Very nice blog about people with lots of cats and a greyhound. I like their vibe. I am Santa A Miniature Schnauzer Wonderful blog about Santa and his doggy family! Life with Dogs Cool dog blog, lots of videos and interesting stories. Lucy's Human – a very sweet blog about a sweet boxer and her "hooman"
Mutterings and Dreams My personal blog, not necessarily dog related. Romance Puppy Opie’s mom loves romance novels. How could I not love this blog! Secret Schoodle This blog is bout these great schoodle/poodles. They look like so much fun and they have a Hedgie like me! I wish we could all play together! Tanks Two Cents I love this squirrel hating dog! We must be brothers from another mother! Wow – so much in common! The (mis)Adventures of Sage One of the first blogs I ever read. Love reading about Sage’s hijinx and her parents Urban farming! The Life and Times of Chewy The Shih Tzu Love reading about Chewy! We used to have the same name. My first name was Chewy! Two Barking Dogs Amusing and fun to read! 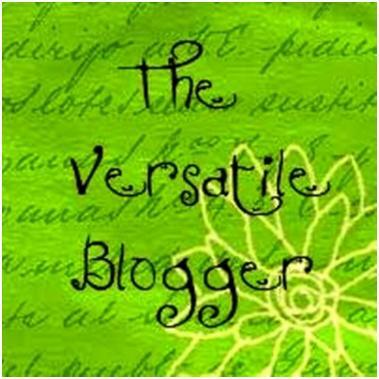 Another of the first blogs I read when starting out as a blogger. Continues to please! Two LIttle Cavaliers Cool blog about two spaniels. Informative and fun! Two Pitties in the City Really awesom blog about two sweet pit bulls living in city! Winnie's Dog Blog Beautiful blog by a retired grey hound racer! Just gorgeous! 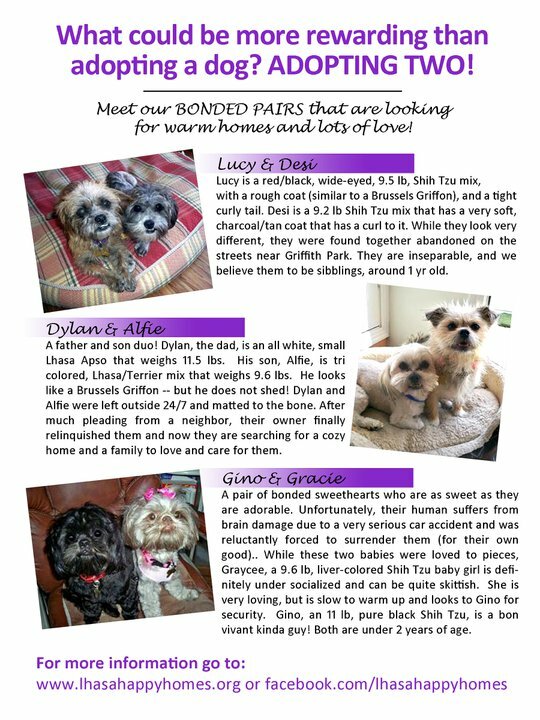 Zona's Paw Prints Very sweet blog about some very nice dogs that Opie would like to befriend. Doggies and Stuff Reviews, eco friendly and organic pet stuff. Very interesting blog. Peg's Pet Place Great information for Mamas and Daddies of pups! 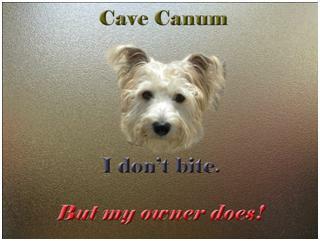 The Muttley Crew Blog run by doggy day care service. Lots of good information. Check them out. These Guys Need a Home!